There are some amazing water features that can be found throughout the city and suburbs of Melbourne. 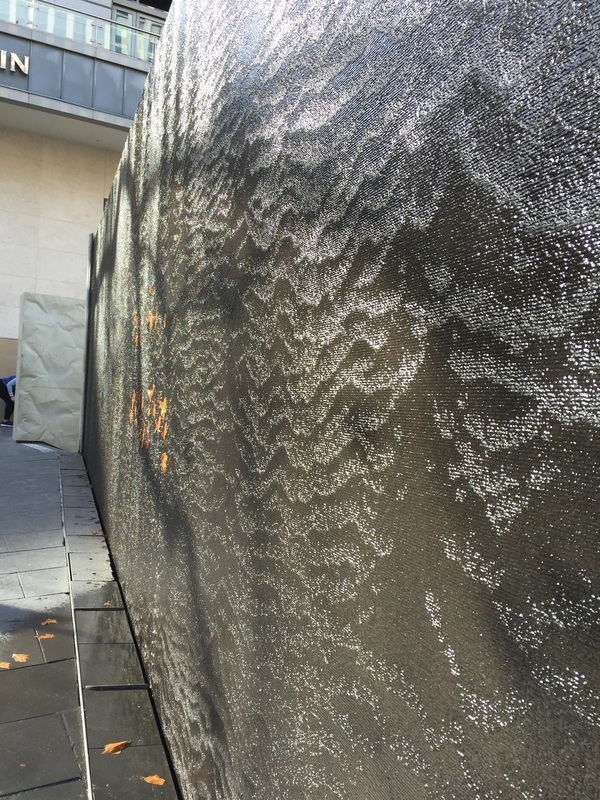 One of the most recognisable is the massive water wall on the corner of Swanston st and Collins st that is made from a cast concrete. The tight rippled texture of the face of the water wall is ideal to create and wonderful flow and movement to the water as it gently cascaded down the face. The ripples creating waves and bringing the water feature alive, whilst a gentle ambient sound akin to a flowing stream soothes those passing by. The water feature is a fine testament to Melbourne and an icon as it has survived the redevelopment of its surrounds and continues to add life to the city.